Action: Pay 1 gold and discard City Gates from your hand to draw 1 card. The March on Winterfell #38. 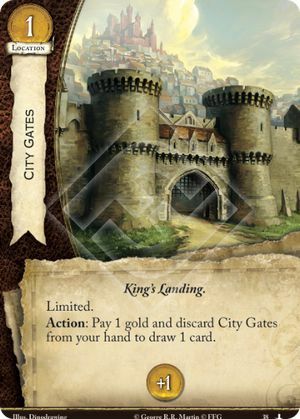 Triggering the action on City Gates does not count as playing or marshalling a limited card.